I am posting after a short absence today~Though I have been sneaking in and out into blogosphere & checking on all the posts that my lovely bloggers post but haven’t had the time to do a post myself. Anyways here I am again with a new review. 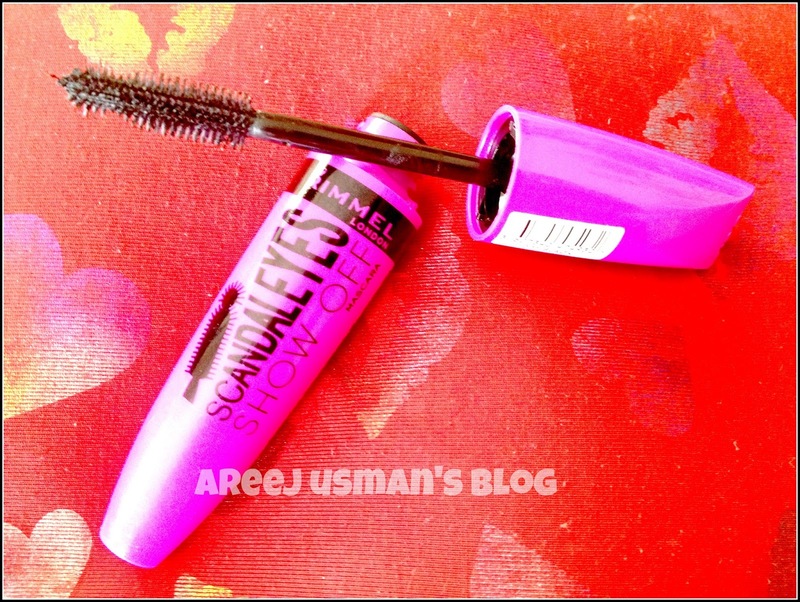 Its the Rimmel Scandal Eyes Show Off Mascara (BLACK) that was sent to me for review purpose. 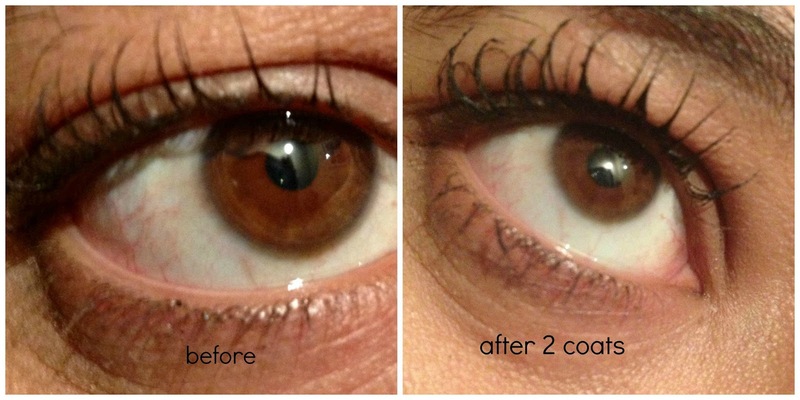 Scandalous volume and lift, for lashes to really show off! 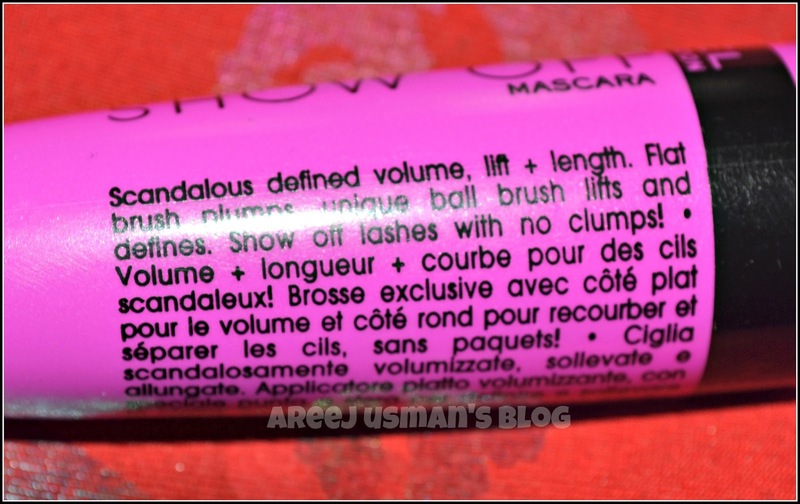 The packaging of the mascara is really funky in a fuchsia tube.I really loved the feel of it.When I first opened the mascara I was surprised!The tube felt as it was empty or used.The brush came out nearly dry as well.I assumed that the formula of this mascara must be dry. Can you see for yourself how dry the brush is or how less product is there on it! Though they had put great effort in creating the wand.The ball like tip really helped to put mascara on my lower lashes like no other wand. I applied two coats to my lashes for a better result but I am greatly disappointed after even 2 coats.May be If I take out more time & apply 2 more coats it would look better.But what is in a mascara when you have to apply 4 coats!! 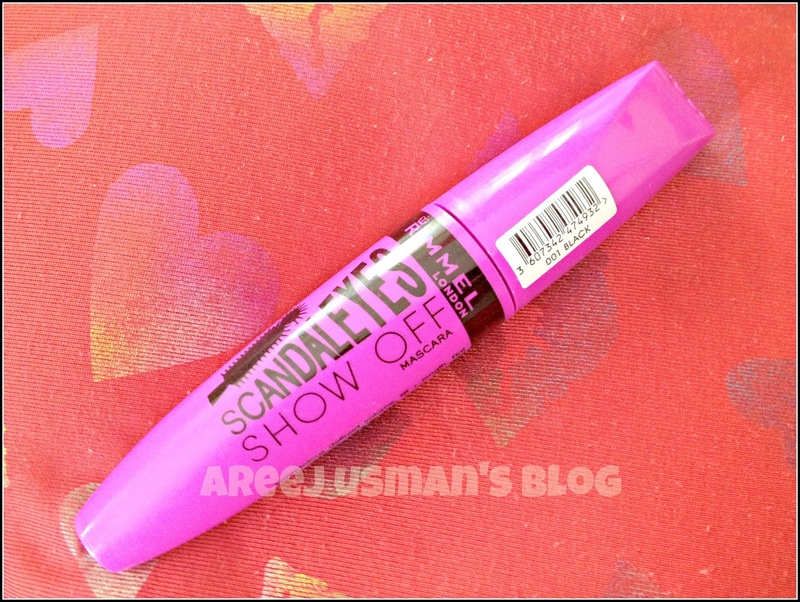 Now lets have a look at my lashes before and after applying the Scandal eyes Show off Mascara. Ok so can you see a major difference? My lashes are naturally curled so I never use a curler before applying a mascara. what else the mascara claim! My lashes were very clumpy. But this one is a total NO! Have a look at my lower lashes.In the BEFORE Picture they are normal looking straight lashes,but in the after picture they are going different ways.I even tried to remove the clumps with a lash brush but to no use.I gave up in the end. The staying power is good though.It lasts around 7-8 hours on my lashes without coming down.But what to do with staying power when it doesn’t apply decently. 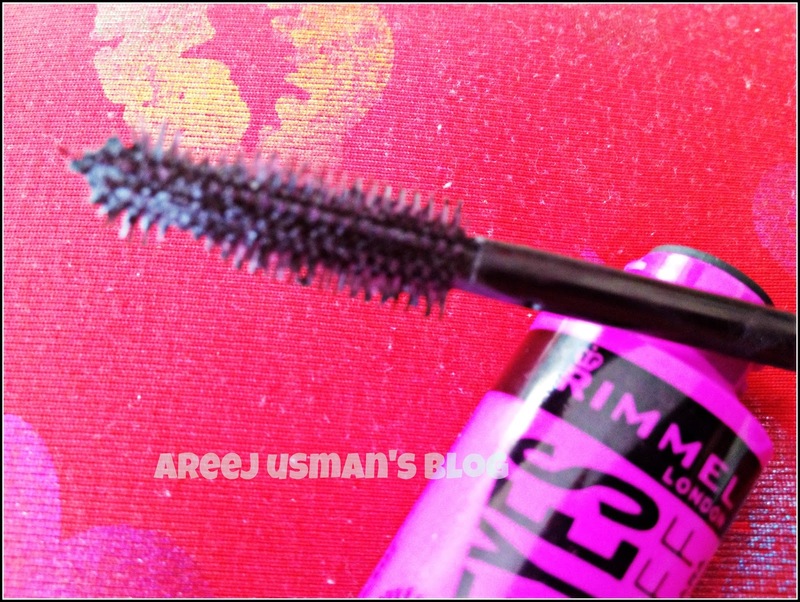 I would say if you have time to apply 3 or more coats of a mascara you can give it a try.Otherwise I am sure there is a better & cheaper mascara out there that would work out for you..
Rimmel Scandal Eyes Show off is retailed for Rs.850 nationwide. ohh how dissapointing :/ i'd heard so much about these scandal eyes mascaras though! I hope u havent bought it.